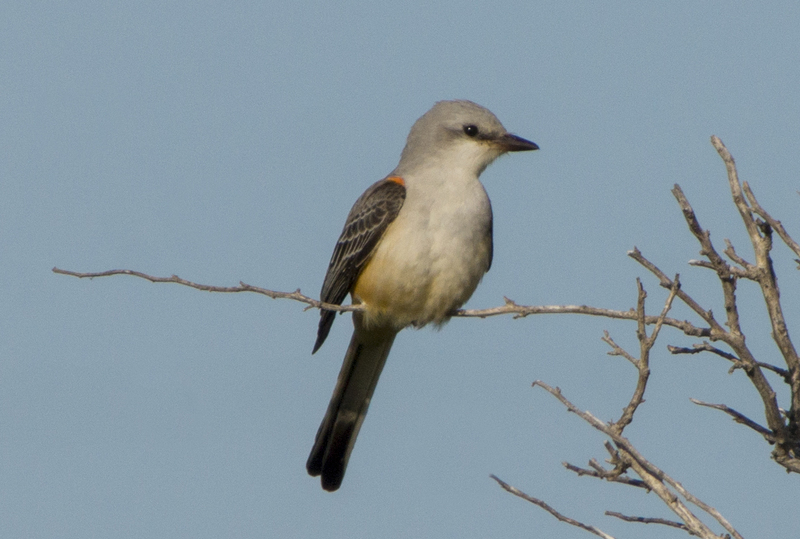 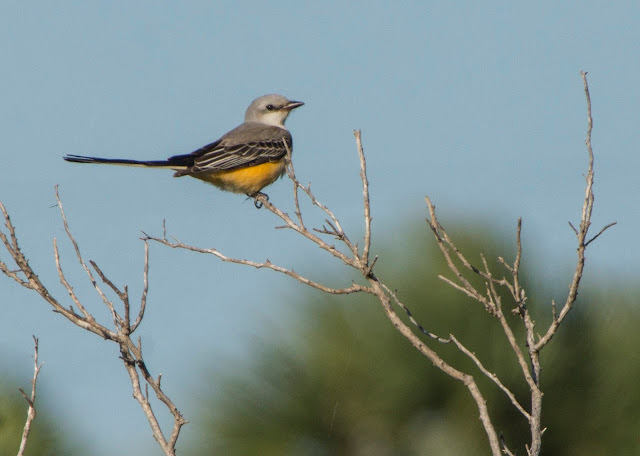 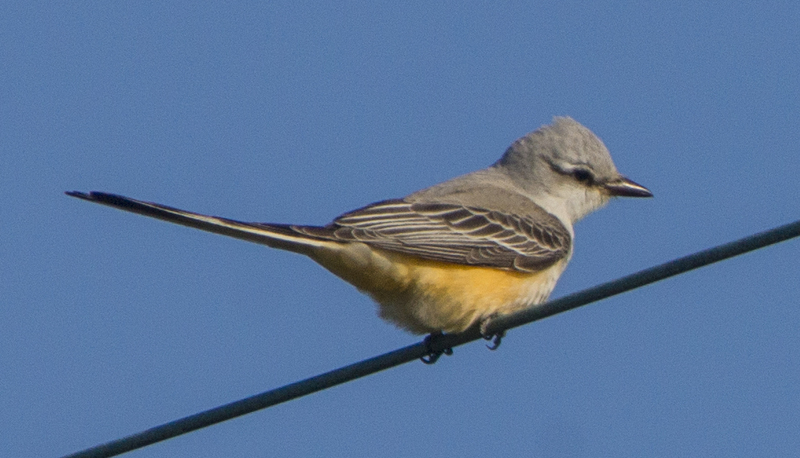 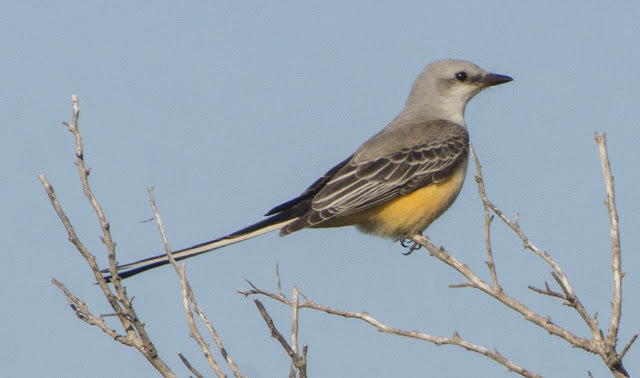 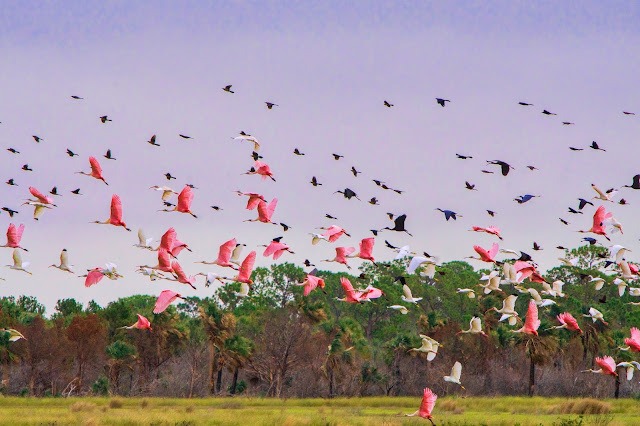 Went to find a life bird, the scissor-tailed flycatcher, and it was actually here! What a beautiful bird. 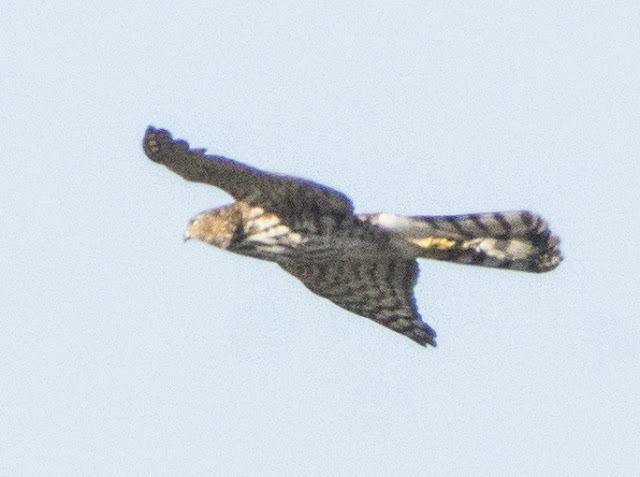 Also saw a cooper's hawk; the flycatcher did too and was not too happy to see him.